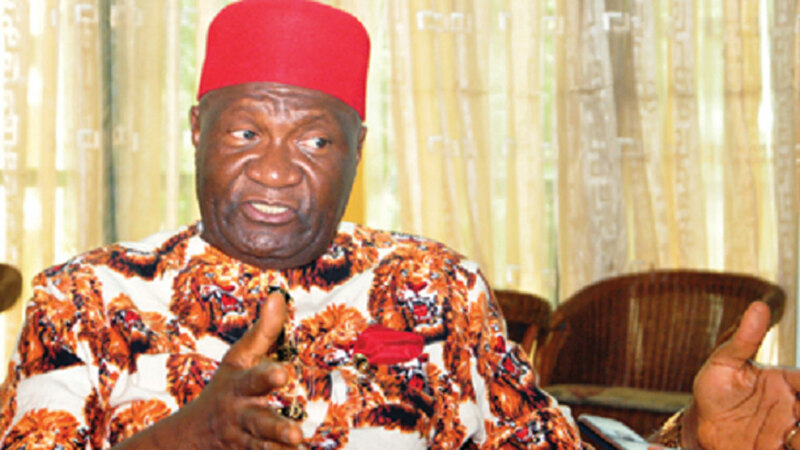 Chief John Nnia Nwodo (Jnr), the President-General, Ohanaeze Ndigbo, in this interview with LAWRENCE NJOKU and SAMSON EZEA, speaks on the security situation in the country, restructuring, and lapses of the Muhammadu Buhari administration, among crucial national issues. The security situation of the country seems to defy all odds, what do you think? The security apparatus of the country and its management have failed. The head of state extended the tenure of service chiefs and the assumption was that they have done so well and should continue until their plans firm up and competent successors choosen. First of all, I am opposed to the extension; as a lawyer that it is illegal, which our courts can test. The law establishing the civil service has tenure of service after which, the person must go on retirement. I do not know any other law that provides room for elongation of tenure. There is the amendment in some instances and federal establishment making allowance for contract employment, especially in the universities, where some Professors may retire, but because they have no replacement in their specialty, they are retained on contract basis. But, on those contract bases, they get less of what they were getting when they were running their tenure and that is renewable after few years. I don’t see how a civil servant, who has reached the age of retirement can be told to continue in office contrary to the law. So, what the head of state did is illegal and I am surprised that nobody in the National Assembly is questioning it and nobody in any of the civil societies has questioned it. Secondly, he has breached the provision of the constitution on federal character, giving the impression that loyalty to the head of state is a function of where you come from and therefore, must determine the commander of any of the services. It is a misnomer and runs counter to the necessity to build a united country. This country has never been as divided as it is today. The President’s appointments remind people of where they come from. It has negated every advantage we have acquired over the years in terms of building a united country. Now, why is it that everywhere Fulani herdsmen have murdered people in great numbers and the police arrives after the incident? The whole essence of security is prevention of crime not management of crime. An effective security must prevent crime from occurring, in order words, it must have information, and it must have surveillance and capacity to predict what the criminal is trying to do. The social media is awash with pictures of Fulani herdsmen possessing AK47 rifles and nobody has arrested anyone. Those who are arrested are not prosecuted. You get the impression that this is a religious war. What on earth justifies herdsmen entering into a Catholic church in Benue State, while the service is going on and murdering two priests, parishioners and members of the choir only to turn around and take the uniform of the members of the choir and wear it, making caricature of them with their faces showing and trending the entire social media and entire Nigerian security system is unable to arrest them and they are telling you that this is Libya-inspired. When did Ghaddafi die, how many years ago? Any country with an effective security would say, Ghaddafi is dying and his armory is unprotected and people are going to take away things there and peculate around Africa, how have we protected our boundaries as to ensure that these people do not come? Our borders are the most porous in the world. Evidence from Kano is that people non-Nigerians are coming to register in our next election. Where are their addresses? INEC has done an administrative inquiry, but in law you cannot be a judge in your own case, they must allow a judicial inquiry. Even if it is an administrative inquiry, the social media trends with questionable PVCs of names and pictures of children. The evidence is already in the public domain and it has not made the government think that it would set up an inquiry to ensure that the coming election is transparent. The weight of arguments and the fact that this matter has been brought to public domain is enough for government to see that justice has not been done. 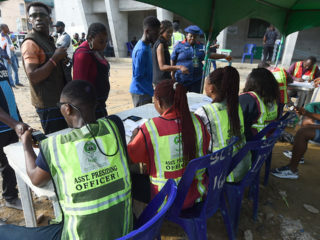 And allow a judicial inquiry on every infraction that has been complained about in the registration of voters so as to remove the iota of doubt on every Nigerian on whether the election will be free and fair. Right now, Google has developed a technology for which you can count people without necessarily asking them to go to the PVC centres, they do an area counting of people. So, you can tell the population of Nigeria by an area counting. Our National Population Commission has never been allowed to tell us the number of Nigerians of each ethnic origin. Why is it a no-go area? We have never been allowed to tell the number of Christians and Muslims that exist in Nigeria, because it is not one of the things that should be enumerated in our census, why? We knew that when the British were doing our head count. The head count we have now, the figures are very inconsistent with that of British government, even on projected basis, using growth trends in world’s demographic statistics. The world laughs at us, even children enrolment in schools do not reflect the demographic pattern we have given to certain areas of the country of a particular area. So our population headcount is vague, it is unverifiable and so will our voter registration be. Unless there is a judicial inquiry into these processes, we will continue to get it wrong. Do you think proponents of restructuring are engaging the National Assembly properly despite the President’s perceived indifference? If you ask me, I will say that this crop of National Assembly will not have the capacity to go through the whole gamut of constitutional amendment. They may achieve state police, create one or two states, but the fundamental constitutional amendment must be an issue on which this election is fought. I believe the 2019 election will be fought on the basis of those in favour and those against restructuring. So, even if you pass the amendments necessary for it, he will not assent to it and obtaining a two-third in the National Assembly may be difficult. But, if a new political party or existing political party form a coalition based on advancing the issue of restructuring, it would be taken seriously and we may get there. And increasingly from our public education policies from Southern and Middle Belt Forum, it is becoming clear to those in Northeast and Northwest, who had initially opposed restructuring, that it is not targeted at them. At our interface with the National Assembly, their representatives spoke up, that this was really in their interest. I used the example of Netherlands to prove to them that the world now is making money through new means. The world is looking at IT (Information Technology) propelled industries and agriculture as means of survival. Netherlands earns hundreds and billion dollars on export earnings daily on IT and agricultural vegetables. Whereas the entire Nigerian oil earnings does not attain $100b and Netherlands is like half of Nigeria. They have green farms in the various levels due to paucity of land, they create atmospheric weather environment for the growth of whatever they want to plant and they are exporting all over the world. This country is not just in looking for restructuring, because when you do so, various areas would devote more resources, more energy and talent to their peculiar problems. But, our education is falling short of the ingredients to promote the new era. Globalization is a contaminator and Africa is the black leg of globalization. As it is, the trend in the whole world, Asia has upped its ante in terms of IT education and IT propelled industries; Europe and America are already there, so we are the ones that are lagging behind and we are lagging behind, because of our lack of rich curriculum and development of manpower to a new area of educational development. By saying that APC is against restructuring that means by 2019, if the party wins, restructuring will become motion without movement? You are putting these words in my mouth; I know that APC has a manifesto, which says they will restructure Nigeria. I know that they have appointed a committee chaired by the governor of Kaduna State (Nasir El Rufai), which has made some concessions on the issue of restructuring. To the extent that they are talking about state police, to the extent that they allow the states to own their mineral resources and oil, so long as they allow federal government to own off-shore wells. They have also said they do not mind states merging together and a regional arrangement. But, it is one thing to say this and the other is to douse the feelings of people, who are presently unhappy with the structural imbalances in the country. They should go ahead to implement this. Since they have said this, they should build national consensus to propel national change. But, while their party is saying this, the President is saying the problem is not restructuring, but the process. And recently he said those calling for restructuring are parochial. So, you can see that they are like two people in one boat, but singing different tunes or dreaming different dreams. What the leader of the party and the party is saying is inconsistent. Either the President is not reflecting the views of his party or the party is not coming along with the President. I don’t understand it; it is an abnormality in party process. The thing they seem to hold against restructuring is the possibility that it could lead to self-determination, is that the view of southern Nigeria and how prepared is southeast for restructuring? Spain has restructured and Catalonia has now become a country. Germany has restructured, England has restructured for Scotland to now become a country. So, I don’t understand those fears, they are unfounded by history and current political developments. I don’t think you have read the Ohanaeze model of restructuring. It was agreed to by all states in the southeast. For Ebonyi State, it was tabled before their expanded council, which included their leaders and traditional rulers and local government chairmen and they all signed into it. Ebonyi and Enugu States were part of the states saying if we restructure Nigeria, we will be losing our newfound freedom. Ohanaeze is saying let us write a constitution as to the kind of region we want that will allow the states a high level of autonomy. Under the western model, the states have sovereignty over their natural resources, the states keep fifty percent of all they get from their natural resources and they give the regions thirty-five percent and the Federal Government fifteen percent. When you have looked through this, there is a meeting ground in all these. I don’t see anybody who opposes this in the southeast. Closely related to that is the economic advancement of southeast, what is Ohanaeze doing in terms of investment in the zone? You must not mistake Ohanaeze for a government, we can only appeal. We know there is a Planning and Strategy Committee headed by Prof. Chukwuma Soludo. We have just finished delivering on the restructuring model; we are now working on the economic model, which is at a very advanced stage. And we are not depending entirely on the government, but the private sector – Igbo in the private sector. The government does not own the leading companies in the world, including IT (information Technology) and energy companies. So, we feel the future of Igboland lies virtually in propelling the private sector to take decision on economic investment of the area. We are doing a paper, which will be ready very soon and have a major conference of Igbo in the private sector with a view to selling to them our model of growth to see whether they can all sign in, then we can now approach the government for their collaborative effort. Is it possible to get a Northern President that can implement the restructuring the way you advocate? Restructuring has seized to be the views of one section of the country. There are many from the Middle Belt, who believe in restructuring, there are many northerners that are not Middle Belt, like Atiku Abubakar and former President Ibrahim Babangida. Restructuring is not a sectional ideology. It is the only way to give birth to a united and productive country, without it, Nigeria is stillborn. Do you realize now that what we pay as interest for loan of nearly $20b (external loan) is more than what we generate by taxation as a nation. We pay forty percent of our GDP on retirement of our external debts and it is at a growing trend. Right now America has upped its interest rates. The volume of withdrawal of foreign investment of our business sector and investments in search of greater interest rates in America. What this thing is heading to is, if nothing happens to shore up the system; thank God there is an increase in the price of crude oil, but that is going to fall because America is fighting and OPEC has agreed to lower their prices. So, the increase is just short term. 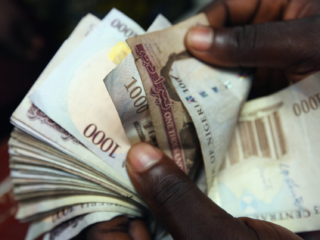 When there is flight of capital, what will happen, the price of the naira will weaken in competition to the price of dollar. This leads to a more desperate and poor society. It will be for government to open up other areas of growth and one expects that the political rhetoric as we go into an election year should be, how do we get out of this and I say restructuring is the way to go. Restructuring takes our energies back to productive units in smaller concentrations, independence to make decisions, which are all in favour of the Federal Government. We have an amorphous Federal Government that does not work. It appears efforts are on for every state to embrace ranching going by votes in the budget, what is the stand of Ohanaeze Ndigbo? We are completely against ranching. First of all, here again, is what characterizes the President’s idea of ruling Nigeria. He is extremely sectional and he does not hide it. Igbo are the major transporters in Nigeria. What has government done to create parks for Igbo to make the routes more motorable? If you look at all the Luxurious buses going up and down the country, more than 60 percent belong to Igbo. What has the federal government done to enable that business flourish? It is this business that aids in the movement of goods and services and government is investing this huge amount of money in growing private business of people who want to grow cows. What if the federal government decides to impose it on the states? They don’t have the legislative power to do so. We will have no choice to go to court. It seems to be a veiled attempt to catapult the skirmishes to all areas of Nigeria. Every area that you intend to take as ranching is going to resist it, so there would be war front in all areas of Nigeria not contaminated by this carnage that is going on in the Middle Belt. It is a question of leadership. The character of our leadership has imposed ethnic questions on our country. The President is the patron of Miyetti Allah (Cattle Breeeders Association of Nigeria), he finds nothing wrong in what Miyetti Allah is doing. Are state governments doing enough to contain these killings before we talk about federal government? You are getting it wrong. State governors under our constitution are like Bishops without a cathedral, like an Imam without a mosque. You cannot be a chief security officer when you cannot control any of the security forces that work with you. The governor of Zamfara State publicly resigned as chief security officer of his state, because he found out that security forces were not prepared to obey his instructions as chief security officer of the state. Any security organization must be able to articulate this kind of thing, but they should be able to report it. Plateau governor accused the Benue governor of provoking the attack by instituting the anti-grazing law, but not long after that; his own state was attacked even when there was no anti-grazing law in place. So, obviously the law is not the reason and magnanimously, the governor of Benue joined the Governors’ Forum to visit Plateau State to express their sympathy. So it is not about whether they are living up to their responsibilities, but there are certain structures, which have made them Bishops without cathedrals. Restructuring has been a major issue before now, how come even leaders from the South) have not implemented it? This is the quintessence of a historical failure. You have not put the thing in a historical perspective, which was a unification decree that the north opposed. We founded this nation on the basis of united Nigeria. That was what our fathers agreed to. That agreement was reneged on, as soon as, the war broke out. Those who funded the war entered into agreement with the Federal Government that oil should seize to be on the concurrent list so that it would be an exclusive reserve of the Federal Government; otherwise the region that fought the war could be the richest region in the country. The war would have been fought for nothing. If oil continued to be in the recurrent list, fifty percent of the oil would have been in the southeast and south/south. So, all that has been happening from then till now has been an attempt to maintain the status quo. We blame Obasanjo for all. Obasanjo was President at a time that they forced him to remove the chairman of the population commission, he was President at a time they used majority in the National Assembly to stop statistical evidence in our population head count of who was a Christian, Muslim and your ethnic origin. He couldn’t do anything about it. I will not run for President of Nigeria under this kind of constitution. I made a mistake of doing it in the past, but it has become obvious that you cannot elicit justice from a National Assembly composed of pyrrhic administrative units, which is neither a reflection of our constitution nor our ethnic background. A federation is supposed to be people of different ethnic origins, people of different backgrounds, agreeing to come together under a political unit, while preserving their own independence. You cannot have a federation without an independent regional government. But, this is not the case in Nigeria. The regional government deals with things that are primary to their people, mainly their safety and wealth. So, I don’t understand how Jonathan or Obasanjo could have restructured the country. So who will do it? That is why I said gladly, we have come to a situation, where majority of Nigerians now embrace the principle of restructuring. It is not a regional agenda anymore. It is a national agenda and I have named people to you who have been in government, who after their experience think that restructuring is now the way. What is your take on the alleged projects insertion and budget cuts on some projects by National Assembly in 2018 budget? I see it from a completely different perspective. I see it as failure of leadership. Our Presidential policies have been wrong. I served former President Shehu Shagari as minister. The party in government must have a programme, which it sells to the Nigerian people. That programme is put in the budget, once it has agreed with his party caucus. In this instant case, he has majority in the National Assembly; the next is for him to hold a meeting with his parliamentary caucus. In our own case during the Shagari era, we didn’t have majority in the parliament. So what we did was that we first sold the programme to members of our parliament and our members in parliament went and sold it to our party caucus in parliament. They then divided themselves into the opposition parties and the opposition parties made inputs and corrections to our own budget. Some of the corrections we accepted and some we didn’t accept. When we have amendments, we sell the amendments to our own party people so that we don’t lose our members, while trying to get the opposition. And once we got the majority of the legislators, who can guarantee the passage of the bill, the bill is then presented to the National Assembly. Once it has been presented it does not take time in coming out, because they have dealt with it internally. That is why I call it a crisis of failure of Nigerian leadership. 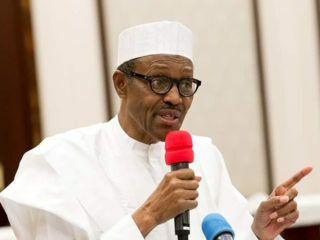 If a President of Nigeria, who is the leader of his party cannot agree with his party members, who have the majority in the National Assembly on what the format of his budget should be then it is a failure of leadership. Regarding the allegations of the cut in the budget as regards the southeast, nobody has convinced me that the government made a presentation to the National Assembly, which was removed by a joint meeting of the two committees of the National Assembly. What is coming out is that something happened after that resolution was made, which is an anomaly. So, could it really be that the document we call budget today was passed in a manner that did not conform to the rules of the National Assembly? If what was passed was not what was reflected, then where did this come from and can you hold any body responsible for not policing it if the amendment was done outside their knowledge? Don’t they (Southeast lawmakers) have right to ask questions if they did not know about it? They have asked questions, the media adviser of the Deputy Senate President has spoken, (Senator Enyinnaya) Abaribe has spoken. Abaribe is supposed to be Deputy Chairman of Appropriation Committee and if he does not know about it, then something went wrong. Would they end the matter that way? I am sure they must have a legislative way to sort it out. If there is a supplementary budget expected from the Presidency, then it is likely they would make the corrections there. But, what is clear to me is that there is a clear neglect of the southeast by the Federal Government. 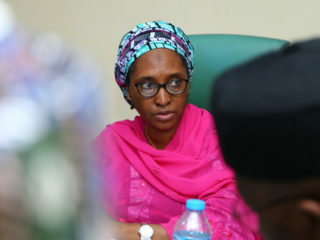 If our brothers have provided for these things in the estimate and it turned out that in the final draft, it was not reflected, then there is a fundamental neglect of the southeast by all concerned, both the executive and members of the legislature who took part in producing that final draft. The southeast is not regarded as part of their national development plan. In the Enugu Airport, the terminal building is not there, the Cargo area not built, the bulk of passengers, who travel by air go through the Enugu Airport, so what is stopping somebody from developing it to an international status? It has to do with political consideration. Our legislators and leaders have raised it as part of complaints from the zone. I have not heard other segments of the country complain of theirs.